As a Cape Town born Jew, my life has come full circle. Although I was born after his death, my zeida, Rabbi Shimon Ze’ev Aysenberg, played an indelible influence in my life. My father, Isaac Eisenberg, born in a stable in Mogilov, Belarus, in 1922, a medical doctor and writer, spent his life interpreting his childhood memories. The smell of the black earth, winter tales, the rich Yiddish he spoke, the gerichten of the alter heim, these were the jewels of the past my father polished throughout his life. Zeida was a graduate of the Slabodka Yeshiva in Kovno (Kaunas), Lithuania, but fled to Belarus in 1917. His book, Milchomo Shteib (‘The Dust of War’) recalled the period when Germany took control of all of Congress Poland, Lithuania, and Latvia and parts of Volhynia and Belorussia, bringing a large segment of the Jewish population of the Russian Empire under the rule of the Central Powers. This was a bitter period, which ultimately brought my father and his family to South Africa. Chopped herring, kichel, kneidel and chicken soup, chopped liver, brisket and tzimmes, the smells, the tastes, the profound reflections of my father’s origins, but living in our hearts, glorifying our identities as part of the Litvak world. Only to look at the paintings of Marc Chagall, the violinist on the roof, the Jewish bride, the sweet tunes of the Chazzan on a Friday night, the candlesticks used on Shabbat, all symbols of who we are and where we come from. I am a Litvak. My friends are Litvaks, my teachers at school were Litvaks, but I never realised until recently that my Litvak community is inextricably linked to a culturally enriched and internationally scattered Litvak diaspora. About 90% of South Africa’s 70,000 Jews are of Lithuanian descent. And almost a million of us around the world thrive in our communities, eating the same foods, with the same memories etched in our consciousness, aspiring to achievement as we live our daily lives. But this is a profound Litvak world none of us easily ever imagined existed. You will recognise some of the greatest names on earth are part of our community: Ehud Barak (previous Israeli Defence Minister); Benjamin Netanyahu (Israeli Prime Minister); Menachem Begin (previous Israeli Prime Minister); Roman Abromovich (owner of Chelsea F.C); Ben Bernanke (previous Chair of the US Federal Reserve); Michael Bloomberg (owner of Bloomberg and former Mayor of New York); Charles Bronson (US Actor); Bob Dylan (US musician); Harrison Ford (US Actor); Nadine Gordimer (South Africa Nobel prize winner for literature); Mendel Kaplan (South African industrialist and past President of the World Jewish Congress); Helen Suzman (South African politician); Sol Kerzner (South African businessman); Michael Marks (founder of Marks and Spencer in the UK); Tony Leon (South African politician); Chaim Soutine (artist); Joe Slovo (South African anti-apartheid politician); Amos Oz (Israeli writer); the Vilna Gaon. This list goes on almost forever. Jewish life in Lithuania stretches back 600 years. In fact before the Holocaust Jews were the majority of the population in small towns. In Vilnius alone, 134 synagogues functioned. For this reason, Napoleon named Vilnius the ‘Jerusalem of the North’. Lithuania today counts a meagre three thousand Jews as the vestige of a large and florescent Jewish community, survivors from the Soviet invasion of June 1940 and the killings which took place at the hands of Nazi occupiers from June 1941. Prior to the Holocaust Lithuania’s Jewish population numbered almost 250,000. From mass executions in 1941, the establishment of the Jewish ghettos from 1942-1943 and then the final liquidation of the Jewish community from 1943-1944. The Jewish massacres of Kaunas, Vilnius and the Lithuanian countryside are well recalled, as is the extent to which 95-97% of the Jewish genocide was assisted by Lithuanian collaborators. These vulgar facts are incontrovertible. After the Soviets took control of Lithuania in 1944, there existed a prohibition or tight restriction on Jewish education, language and traditions. After the Soviets departed Lithuania in 1993, these restrictions lifted and Jews were free to pursue their religious and cultural practices and to reinvigorate themselves. 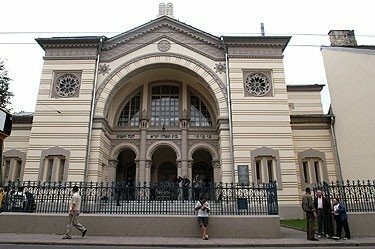 In my first visit to Vilnius in September 2013, I realised that there existed a new trend of collaboration between non-Jewish and Jewish Lithuanians to recognise and rebuild it’s Litvak Jewish heritage. One of the most successful of these enterprises, The Jerusalem of the North and Litvak World, was created by Jewish cultural activist Anna Avidan and pre-eminent Lithuanian attorney and art collector Rolandas Valiūnas and businessman Antanas Zabulis. These projects are seeking to discover the Jewish past of Lithuania and to re-create it. These projects must be supported because the survival of our collective identity depends on their implementation and success. When Lithuania became a full member of NATO and the European Union in 2004, it was brought into the Western world, a willing partner to rebuild and rebrand itself in modern secular terms. The Lithuanian Government recognises the importance of the Litvak diaspora, not only in financial terms but also as a way to rehabilitate itself. It’s citizenship laws encourage the descendants of Lithuanian citizens (from January 1918 to June 1940) to reclaim Lithuanian citizenship. This program is increasingly successful, not only by the granting of EU status passports to successful applicants, but only to encourage Litvaks from all parts of the world to return to Lithuania in different ways. Our Brian Joffe from Bidvest and Robbie Brozin of Nandos have both recently invested in businesses in Lithuania. On my recent visit to Vilnius, I spent Shabbat with Rabbi Shalom Krinsky, the Chabad emissary to Lithuania. My Friday night in the only functional synagogue in Vilnius, the Choral Shul on Pylimo Street, built in 1903, was profoundly moving. A local Chabadnik Shmuel Yusim led Mincha and Rabbi Krinsky officiated the Kabbalat Shabbat from the bimah. 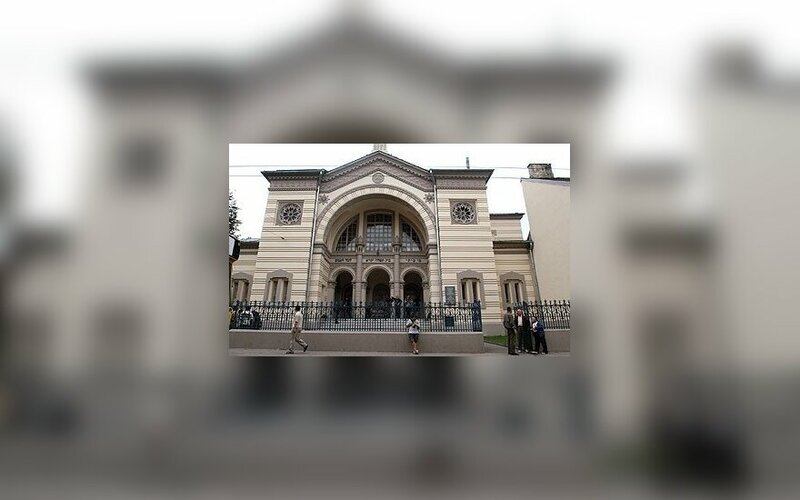 Rabbi Krinsky operates from Chabad House in Vilnius, an impressive building in the old quarter, donated by Ivan Glasenberg, CEO of Glencore, originally from Johannesburg and an active Litvak. Surrounded by members of Vilnius’s Jewish community and visitors from Australia, the US, and England, I had come full circle. Lithuania on Friday is paying last respects to late Israel i President Shimon Peres .